Recently I came across a need to disable all WordPress Cron Jobs as some of the woocommerce jobs and Disqus sync cron jobs were using lots of CPU. Can I disable Cron job? How to Replace WordPress Cron with a Real Cron Job? How to Disable wp-cron Running in the Background? Add below line to wp-config.php file. Make sure you backup existing file just incase required. 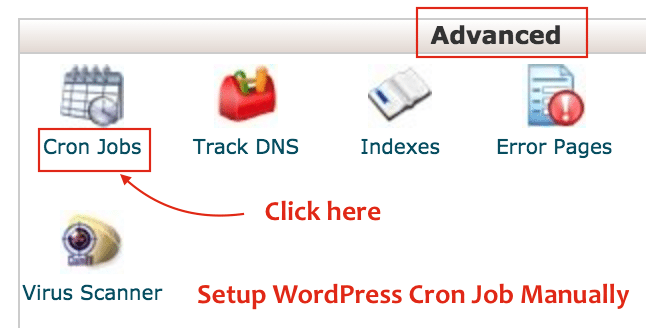 This will disable WordPress Cron job functionality on your site. We want to do this only if you don’t want some plugin or themes to create so many Cron jobs. Another way to disable wp-cron.php execution is to use .htaccess file. Take a look at this tutorial. Setup Cron job with below parameter. Make sure you update username with your cPanel username. And you are all set. You should see Cron job setup successfully. Above cron job which we setup in cPanel will run every 12 hours and execute all required cron jobs. How to SSH-Login to your Shared Hosting Account using ‘SSH Access’ Utility in cPanel? Local Flywheel Setup Tutorial – How to Run WordPress Locally on Mac and Windows? Hi Marcelo – agree. That works too.